TheWrap takes a look at the evolution of the lovable southern star from movies like "Dazed and Confused" to "My One and Only." Renee Zellweger was born on April 25, 1969 in Texas. Her first job out of college was working in a beef commercial. 1991: Zellweger appeared as the uncredited "Girl in the blue pickup truck" in "Dazed and Confused," alongside fellow Texan Matthew McConaughey. 1994: Zellweger had her first major film role in the horror film, "Texas Chainsaw Massacre: The Next Generation" alongside Matthew McConaughey again. 1994: Her next film was "Love and a .45," in which she played a woman who plans a robbery with her boyfriend. 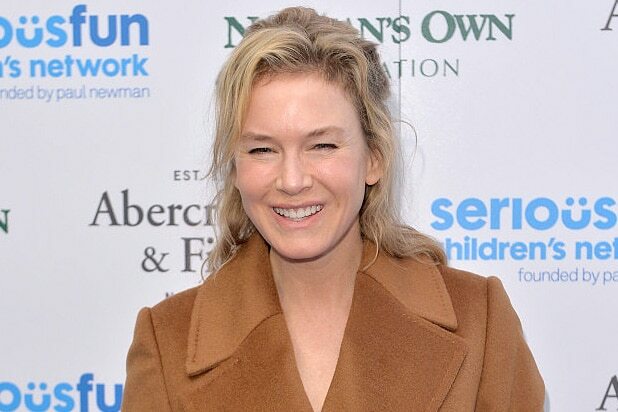 The part earned Zellweger an Independent Spirit Award for Best Debut Performance. 1996: Zellweger became known to global audiences due to her performance in "Jerry Maguire," in which she played Tom Cruise's love interest. 1998: Zellweger starred in "One True Thing" opposite Meryl Streep and William Hurt. Once again, the actress was acclaimed for her part. Parts in "The Bachelor" (1999), "Me, Myself and Irene" (2000) and "Nurse Betty" (2000) followed. 2001: "Bridget Jones's Diary" is released -- and then everything really changed. The film starred Hugh Grant and Colin Firth, based on the 1996 novel by Helen Fielding. Her role won her an Oscar for Best Actress, as well as a BAFTA Award and a Golden Globe nomination. 2002: A year after "Bridget Jones's Diary," Zellweger starred as Roxie Hart in the musical "Chicago" opposite Catherine Zeta-Jones and Richard Gere. She earned her second Oscar nomination and won a Golden Globe for her performance. 2004: Zellweger earns yet another Oscar for her role in "Cold Mountain," as well as a Golden Globe. The Civil War epic costarred Nicole Kidman and Jude Law. 2004: Zellweger lends her voice to the animated movie "Shark Tale," which became a box office success, making $367 million worldwide against a comparably modest budget. 2004: She then reprised her role as Bridget Jones in "Bridges Jones: The Edge of Reason," for which she received her fourth Golden Globe nomination. 2005: Zellweger married country music singer Kenny Chesney in May of 2005, but she sought for annulment four months later, citing "fraud." 2005: Zellweger received her star on the Hollywood Walk of Fame. After her appearance in "Miss Potter" and "Bee Movie," her career somewhat slowed down. She starred in George Clooney's 2008 directorial film "Leatherheads," which was considered a box office disappointment. 2014: Zellweger appeared at the 21st annual Elle Magazine Women in Hollywood Awards and was scrutinized for looking unrecognizable and being accused of having gotten drastic plastic surgery. After her role in 2010's "My One and Only," she had a six-year-hiatus before starring in "The Whole Truth." 2016: "Bridget Jones's Baby," a sequel to the 2004 film, will be released this Friday.